On this date in 1884, the capstone was placed on the Washington Monument, completing what was the tallest building in the world at that time. At 555 feet tall, the Monument is still the world’s tallest stone structure. 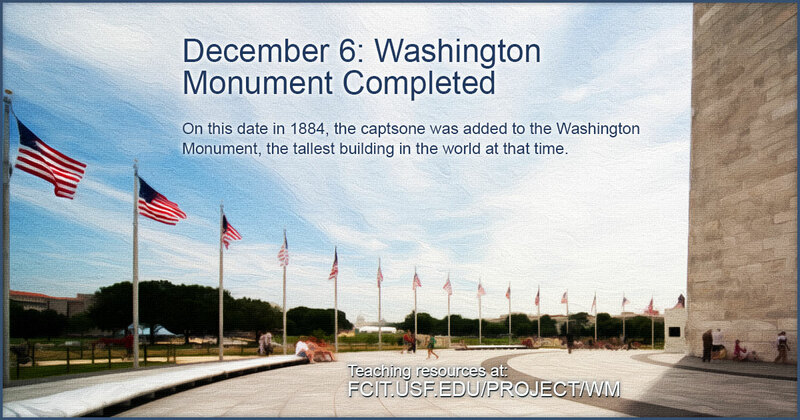 Use this banner on social media to share our resources related to the Washington monument. 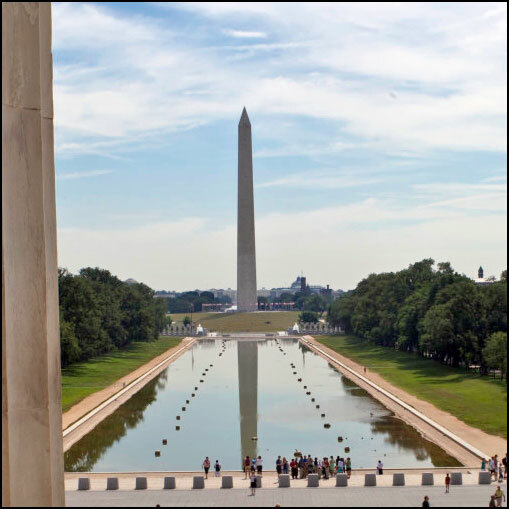 Gallery of photos of the Washington Monument from the ClipPix ETC website. 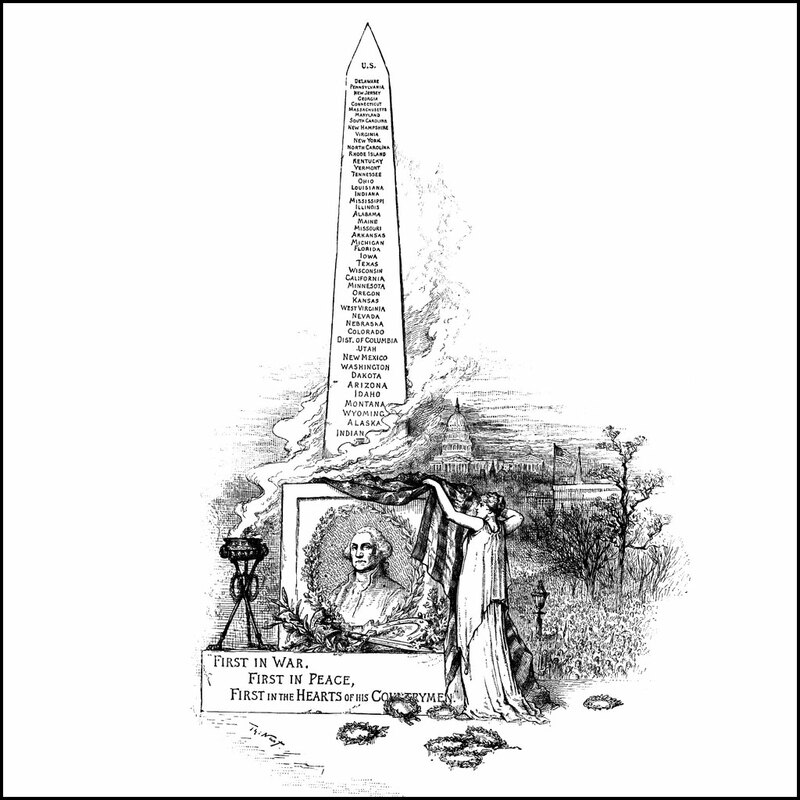 An illustration of the Washington Monument published in 1885 from the ClipArt ETC website. 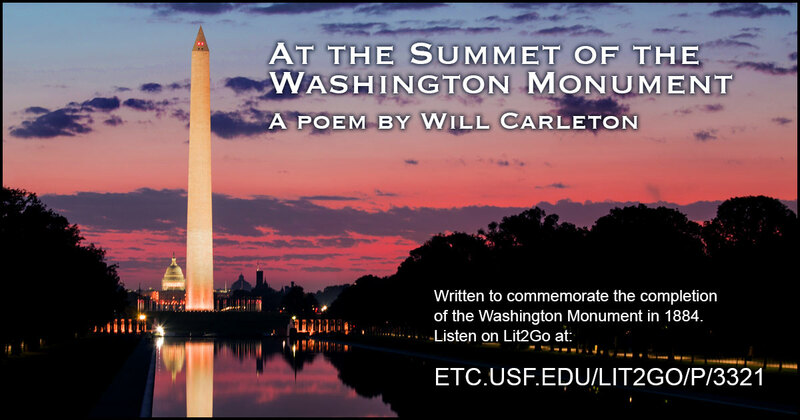 Poem: "At the Summit of the Washington Monument"
“At the Summit of the Washington Monument” is a poem by Will Carleton. It was published on February 21, 1885, the day the Washington Monument was dedicated by President Chester A. Arthur. The poem is one of many in the Selected American and British Poems collection on the Lit2Go website. Duration: 6:13. Also available as a PDF. Map of the Capital from the Maps ETC website. 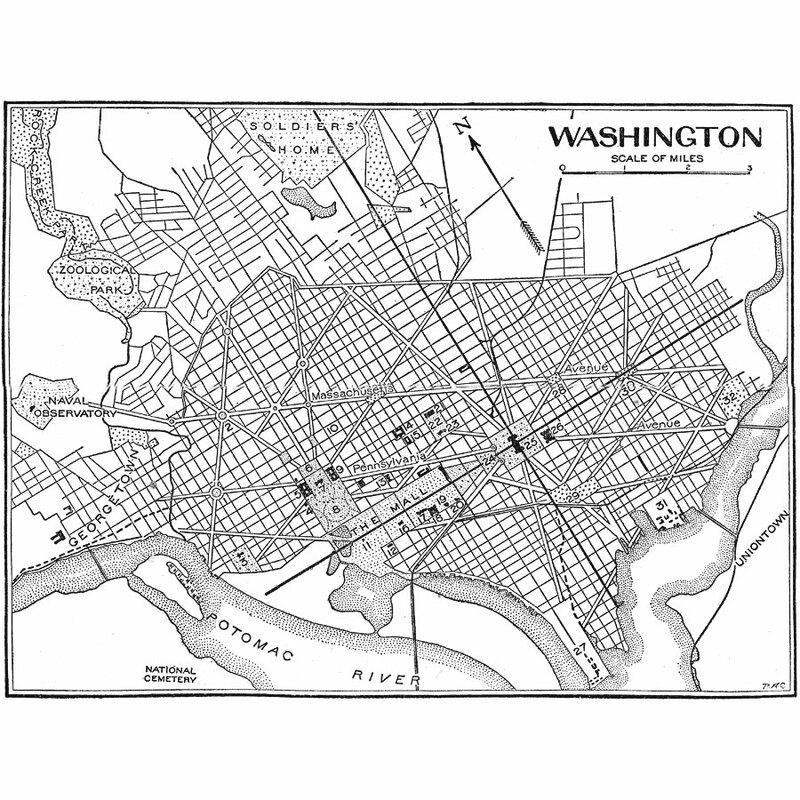 The Washington Monument is located on the Mall and indicated as “11” on the map. 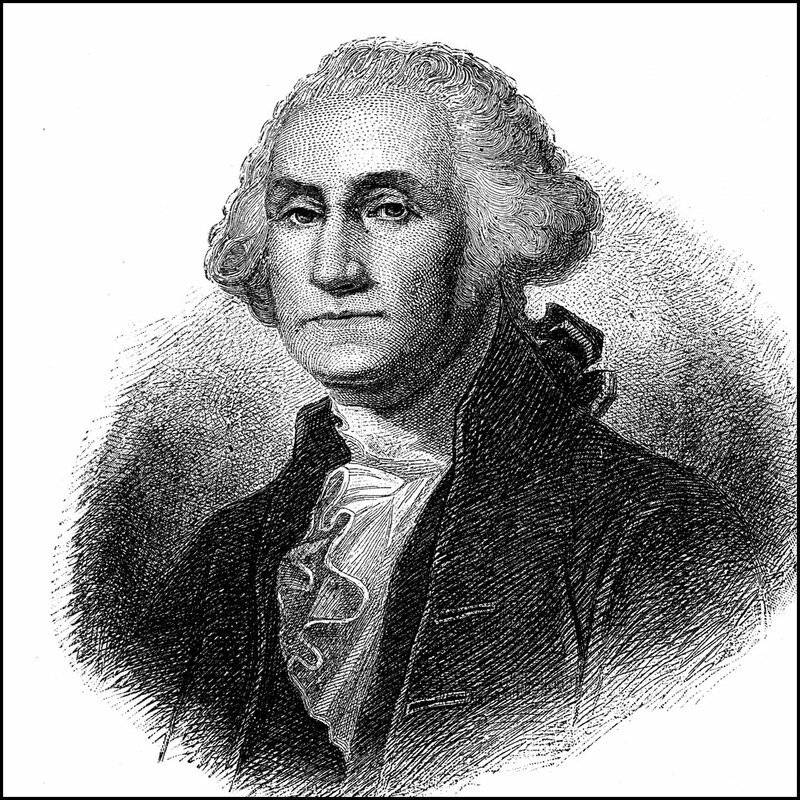 Portrait of Washington from the ClipArt ETC website.